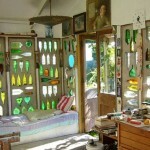 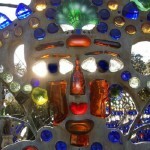 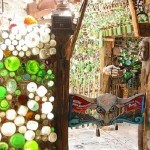 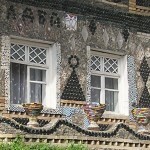 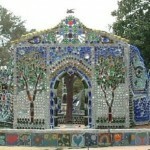 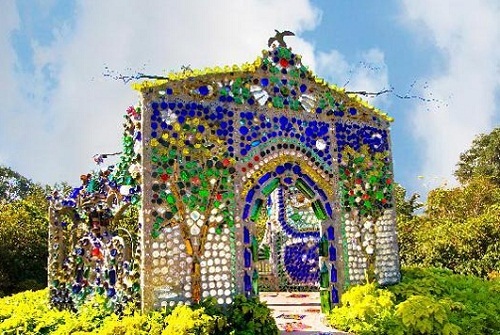 This is probably the most beautiful House of the bottles in the world, made by Minnie Evans – African-American folk artist. 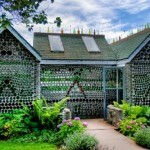 The house is built of thousands of multicolored bottles of various beverages, ranging from children’s Lemonade to the strong alcohol. 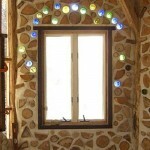 And the walls are decorated with a variety of ornaments: trees, birds, butterflies. 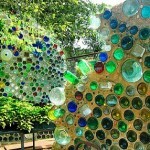 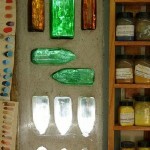 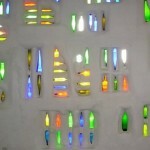 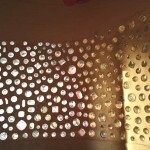 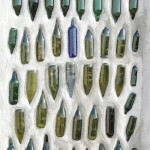 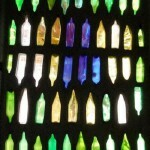 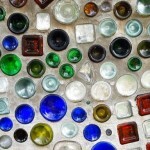 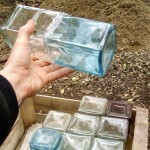 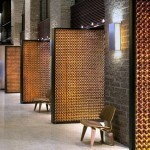 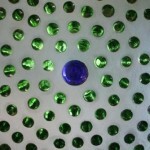 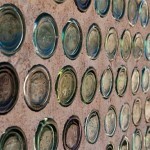 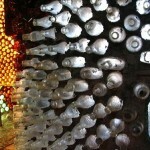 Bottle walls can be constructed in many different ways, the complete instruction how to build such wall can be found on the net, I just see the environmental and aesthetic sides of such creations, they look so beautiful, both at night and on a sunny day! 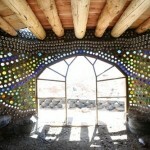 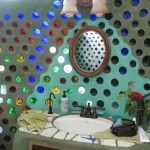 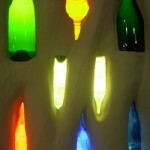 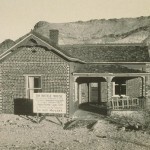 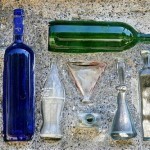 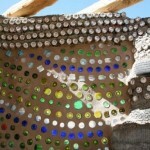 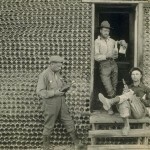 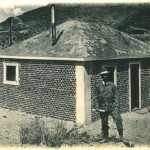 Actually the first bottle house was constructed in 1902 in Tonopah, Nevada, by William Peck. 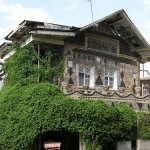 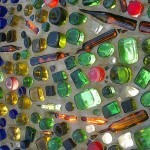 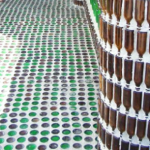 The house was built out of 10,000 bottles of beer, unfortunately the house was demolished in the 1980s. 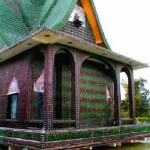 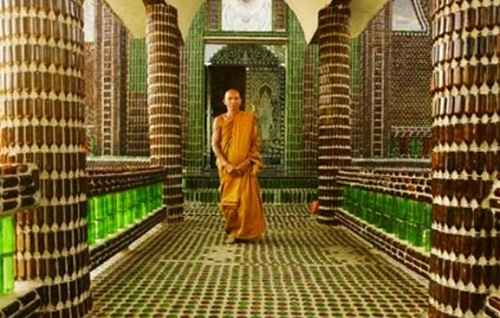 A Buddhist temple in northeastern Thailand, built by Buddhist monks from 1.5 million bottles. 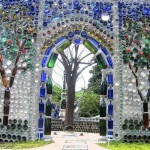 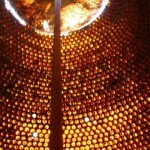 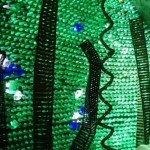 Its called “Temple of million bottles”.